In order to support the development of Confucius Institutes, facilitate Chinese language promotion and Chinese cultural transmission in the world, cultivate qualified Chinese language teachers and talented students of Chinese language, Confucius Institute Headquarters/Hanban (hereinafter referred to as Hanban) launches the “Confucius Institute Scholarship” program to provide financial aid for students, scholars and Chinese language teachers worldwide to proceed to a Master’s degree in Teaching Chinese to Speakers of Other Languages (MTCSOL) in Chinese universities (hereinafter referred to as “host institutes”), or study in such majors as Chinese Language and Literature, Chinese History and Chinese Philosophy. Outpatient medical service and comprehensive insurance. The 2015/2016 Confucius Institute Scholarship is now open for application. Online application and the corresponding application documents should be submitted to application receiving agency no later than May 1st, 2015. For more information, please refer to http://cis.chinese.cn. Outstanding graduates of Chinese language. – be a citizen of a country other than the People’s Republic of China, and be in good health. – be aged between 16 and 35 years old. In-service local Chinese teachers’ age limit can be 45 years old. ² ! !GOOD NEWS!! 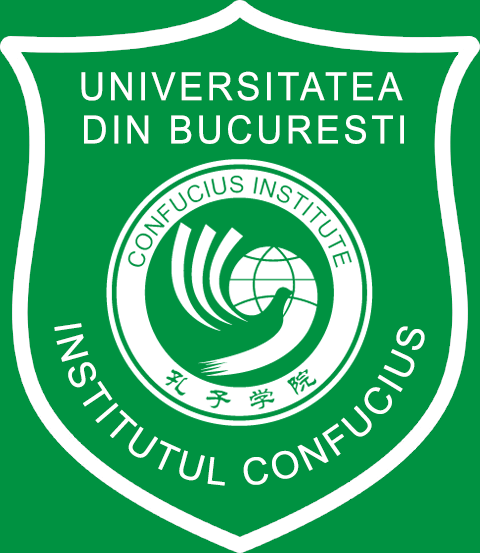 : The Confucius Institute at the University of Bucharest has established the texting site for HSK and HSKK exams from December, 2014. For more details, please refer to http://www.chinesetest.cn; or contact our teacher in charge of HSK, Mrs. Cui Yuwei (cuiyuwei98524@126.com). 11th Jan. 15th Dec. 2nd Jan. 11th Feb.
16th Feb. 20th Jan. 6th Feb. 16th Mar. 16th Mar. 17th Feb. 6th Mar. 16th Apr. 12th Apr. 16th Mar. 2nd Apr. 12th May. 10th May. 13th Apr. 30th Apr. 10th Jun. 14th Jun. 18th May. 4th Jun. 14th Jul. 13th Jul. 16th Jun. 3rd Jul. 13th Aug.
17th Aug. 21st Jul. 7th Aug. 17th Sep.
14th Sep. 18th Aug. 4th Sep. 14th Oct.
11th Oct. 14th Sep. 30th Sep. 11th Nov.
8th Nov. 12th Oct. 29th Oct. 8th Dec.
6th Dec. 9th Nov. 26th Nov. 6th Jan.
10th May 13th Apr. 30th Apr. 10th Jun. ² The registration time for the “Chinese Bridge” Chinese Proficiency Competitions for Foreign College Students and High School Students is in March and April each year. – HSK Certificate (Level 5) with a score of at least 180, and HSKK (intermediate level) with a score of at least 50; or BCT (B) with a score of at least 180, and BCT (oral) with a score of at least 260. – a written commitment stating that he/she will be engaged in Chinese language teaching for at least 5 years after graduation. l Enrollment time: Autumn in each year. – HSK Certificate (Level 3) with a score of at least 180, and HSKK (primary level) with a score at least 50; or BCT (A) with a score of at least 180, and BCT (oral) with a score of at least 180.
l Major: Chinese Language and Literature, Chinese History and Chinese Philosophy. l Duration: 1 academic year. – HSK Certificate (Level 2) with a score of at least 120, and HSKK (elementary level) with a score at least 40; or BCT (A) with a score of at least 100, and BCT (oral) with a score of at least 120.
l Enrollment time: Autumn or spring semester. l Duration: 1 academic semester. – have no study experience in China before. l Enrollment time: July to August in 2015.
l Number of students: 20 (Except for Ningxia University: 12). l Scholarship coverage: tuition fees, accommodation fees on campus, insurance fees. 1) The “Confucius Institute Scholarship Application Form”. 2) Photocopy of Passport Photo Page. 3) Photocopy of HSK and HSKK Result Report. 4) Notarized highest education diplomas attained or proof of study. 5) Reference Letter and Letter of Commitment: The Master’s Degree Scholarship applicants are required to submit reference letters provided by two professors or associate professors (in Chinese or English). A written commitment stating that the applicant will be engaged in Chinese language teaching for at least 5 years after graduation (written in Chinese and sign with signature). 6) Applications under the age of 18 shall submit relevant legal documents of entrusted legal guardians in China. 7) Winners of the finals of the “Chinese Bridge” Chinese Proficiency Competitions for Foreign College Students and for Foreign High School Students in China shall submit the scholarship certificate. Winners of preliminary rounds of the “Chinese Bridge” Proficiency Competitions in their countries shall provide award proof and reference letter provided by the organizers. 8) Chinese language teachers shall submit certificate of employment and recommendation letters provided by institutes they work for. 9) Other materials required by host institutes. Step 1: Visit http://cis.chinese.cn and set up an individual account by finishing the “Registration Form”. Step 2: After registration, log in with your user name and password. Step 3: Click “Fill in” and read illustration for online application before clicking “Next” to the “Basic information” page. Step 4: Fill in the information required truly, correctly and completely following the steps listed on the left of the page. Applicants can find information and introduction of host institutes and majors from http://cis.chinese.cn/node_5737.htm. Step 5: Click Preview and check your Application Form carefully before submitting it. Click Submit to submit your Application Form. Step 6: Download the completed by clicking the save button and print two hard copies. Note: Universities with (#) only enroll students from their co-operated Confucius Institutes. In order to promote the mutual understanding, cooperation and exchanges in politics, economy, culture, education, and trade between China and other countries, the Chinese government has set up a series of scholarship programs to sponsor international students, teachers and scholars to study and research in Chinese universities. China Scholarship Council (hereinafter referred to as CSC), entrusted by the Ministry of Education of People’s Republic of China (hereinafter referred to as MOE), is responsible for the enrollment and administration of Chinese Government Scholarship programs. Academic programs of Science, Engineering, Agriculture, Medicine, Economics, Law, Management, Education, History, Literature, Philosophy and Arts in 252 designated Chinese universities are available to scholarship winners. Tuition: Students with scholarship are provided with free tuition. Accommodation: Students with scholarship are provided with free accommodation or accommodation allowance. Living expenses: Students with scholarship are provided with basic living subsidies. Health insurance: Students with scholarship are provided with health insurance. International travel expenses: Students with scholarship are provided with international round-trip air tickets. Besides from the above mentioned, students with outstanding academic performance also enjoy incentives for excellent oversea students. ² Discipline I includes philosophy, economics, science of law, pedagogy, literature, history, management; Discipline II includes science, engineering, agronomy; Discipline III includes arts, medical science. ² Students who need preparatory education and Chinese language training enjoy their corresponding living subsidies and tuition for bachelors of Subject I. ² Postgraduates and visiting scholars with only-English-teaching courses are in addition provided with 5000RMB/person*year for teaching subsidies. The 2015/2016 Chinese Government Scholarship is now open for application. Online application and the corresponding application documents should be submitted to application receiving agency no later than April 1st, 2015. For more information, please refer to www.csc.edu.cn/laihua. – be a master’s degree holder or an associate professor (or above) under the age of 50 when applying for senior scholar programs. a) Application Form for Chinese Government Scholarship (in Chinese or English). f) Applicants for music studies are requested to submit a CD of their own works. Applicants for fine arts programs must submit a CD of their own works which include two sketchers, two color painting and two other works. h) Applicants planning to stay in China for more than 6 months must submit a photocopy of the Foreigner Physical Examination Form completed in English (the original copy should be kept by the applicant. The form designed by the Chinese quarantine authority can be downloaded from http://www.csc.edu_cn/laihua or http://www.campuschina.org). The physical examinations must cover all the items listed in the Foreigner Physical Examination Form. Incomplete records or those without the signature of the attending physician, the official stamp of the hospital or a sealed photograph of the applicants are invalid. Please select the appropriate time to take physical examination as the result is valid for only 6 months. Step 1: Visit http://www.csc.edu_cn/laihua or http://www.campuschina.org and click “Application Online for International Students”. Your “Agency number” is 6421. Applicants are required to select a discipline before choosing their majors. Please refer to the Discipline Index, which could be downloaded from “Help”, if you have any doubt about the disciplines and majors. l Please use Internet Explorer (6.0 or 7.0). Menu selection functions may not work in other browsers. l Only Chinese and English are accepted for the online application. How can I get the latest information about Chinese Government Scholarship? Please visit our website www.campuschina.org or www.csc.edu.cn/laihua for up-to-date information. You can also consult the Chinese Embassy (or Consulate General) in your home countries or designated Chinese universities for related information. Yes. Applicants without Admission Letter are equally allowed to apply for Chinese Government Scholarship. However, CSC reserves the right to make necessary adjustments on the university options, specialities, program categories and duration of study for the applications without Admission Letters. Applications enclosed with Admission Letter will be forwarded directly to the host universities for recruitment confirmation. ③ Majors should be one of the existing majors offered by Chinese universities and be based on your actual educational background. A non-existent or improper major input will affect your application result. ② Most graduate programs and non-degree programs are instructed in Chinese. Certain Chinese universities offer English-taught programs. Please check Directory of the Chinese Institutions Admitting International Students under Chinese Government Scholarship Program (www.csc.edu.cn/studyinchinaor www.campuschina.org) for program introduction. Scholarship recipients of Chinese-taught programs without adequate Chinese language proficiency must take Chinese language training courses for one to two years to reach the language requirements of their host universities before major studies. Failure to reach the required language proficiency will lead to the termination of scholarship. Recipients in such programs as science, engineering, agriculture, west medicine, economics, management, law and arts will take Chinese courses for one year. Recipients in literature, history, philosophy and Chinese medicine will take Chinese courses for no more than two years. Recipients of English-taught programs or those with adequate Chinese language capability do not need to take Chinese language training courses. A total of 252 Chinese universities are designated by MOE to accept Chinese Government Scholarship students. Applicants can only choose their host universities from this list. Please check the Directory of the Chinese Institutions Admitting International Students under Chinese Government Scholarship Programon www.csc.edu.cn/laihua or www.campuschina.org for introduction to programs and universities available. Can applicants directly apply to Chinese universities for Chinese Government Scholarship? For the applicants without Admission Letter, CSC reserves the right to make necessary adjustments on the university options, specialities, program categories and duration of study based on the scholarship requirement of different countries, accepting capacity of universities, requirements of different programs and the qualification of applicants. That’s why some applicants are enrolled by a university beyond their application options. CSC provides transfer service to new full scholarship students who have to make a stopover in Beijing to other cities during August 25th and September 15th. Pick up service at Beijing Airport, free accommodation on campus and hard-seat train ticket (or hard-berth train ticket for overnight trip) from Beijing to the city of the host institution will be provided to full scholarship students. The China University of Political Science and Law (CUPL) is a “Project 211”university―a government honour bestowed upon China’s finest institutions of higher education. CUPL is well known for legal academics and also enjoys a distinguished reputation in arts, history, philosophy, economics, management, and education. Under the supervision of the State Ministry of Education (MOE), CUPL is located in Beijing. CUPL comprises 19 schools and departments and 15 university-level research institutes. CUPL currently offers 18 majors for undergraduates, 68 academic master degree programs, 3 professional master degree programs, 27 doctoral programs, and 2 post-doctoral research centres. We are glad to tell you that there may be a good opportunity for one of the students or alumni from the University of Bucharest to study his/her Master Degree or Doctoral Degree (taught in English) free of charge at China University of Political Science and Law (CUPL) in 2015. The study will be sponsored by the China Scholarship Council（CSC）, which will includes a waiver of tuition and accommodation, a living allowance, medical service and insurance and so on. – The code for CUPL is 10053. – You should choose Comparative law as your major. – awarded based on your grading performances, Chinese proficiency and other performances. Application Time: Every year from October to November. – Half Scholarship (equals to tuition fee of half a year). – Citizens of a country other than the People’s Republic of China, and be in good health. – A Bachelor’s degree holder. – A Master’s degree holder. ① Completedapplication forms(Application Form can be downloaded fromourwebsite: http://gate.cupl.edu.cn/gjjyxy). ③ One photocopy of your valid passport (passport type must be ordinary). ④ One photocopy of Bachelor’s degree. ⑤ Foreigners from non-native English-speaking countries should offer a copy ofCertificate of English Proficiency. Those who get a New TOEFL score over 70 orIELTS over 5.5 will get the first priority. ⑥ Priority will also be given to those who have Chinese learning experience. If you have aHSK Certificate, please submit the photocopy of the Certificate. Application Time: Before April 15th, 2015. !Note! : Please let us know if any of you applied before March 1st, 2015. In order to encourage more people to learn Chinese and also provide students of the Confucius Institute at the University of Bucharest the chance to understand Chinese culture and modern China better, our institute will organize summer campus including trips to different cities in China during the summer holiday for our registered students each year from 2015. – Applicants should be aged at 15-30 years old. – Applicants should be learners at the Confucius Institute or our affiliated teaching sites. – Applicants should have no former attendance to China Camps organized by Hanban (Headquarters of Confucius Institute). What do we offer when you are in China? – Transportation fees in China. What documents do you submit? – Photocopy of Passport Photo Page. 2. in Xi’an: visit to famous University, museum, the Big Wild Goose Pagoda and the Small Wild Goose Pagoda, Ancient Stone Tablets & Museum and Terra-Cotta Warriors Museum; other activities free at own leisure. – Population Allowed: 20 members. – Time Period and Duration: Late June to early July, for 14 days. – Cities for visit:Beijing and Xi’an. Note:The schedule and activities in the form are open to change according to the final plan and itinerary. Confucius Institute of Bucharest University has the final say and explanation for the related policies. Address: Str. Transilvaniei, Nr 6, Sector 1, Bucuresti, 010798.